Quantity of 3 treasure chest figurines for either Warhammer, Dungeons and Dragons, or Mage Knight. All marked Wizkids. 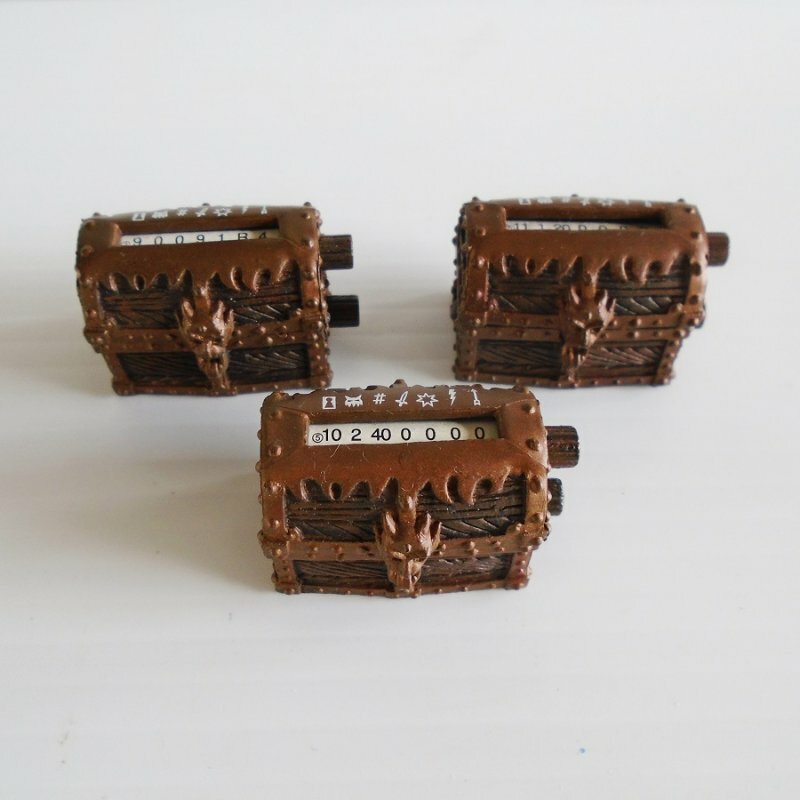 Offered in this listing are a quantity of 3 treasure chests with number dials. I'm not sure if they are for Dungeons and Dragons, Mage Knight, or if they are part of the Warhammer game. They are all marked on the bottom Wizkids and have a date of 2002. They are all exactly alike except each one has a small number inside. The three numbers are 093, 104, and 111. They measure 1.25 by 7/8ths inches and are 1 inch tall. They are plastic.